Most of us can only imagine what it’s like to be governor — whether it’s dealing with Hepatitis A or hurricanes or homelessness — knowing decisions today can affect the future of the whole state. 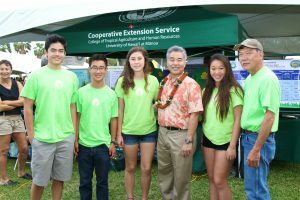 In this month’s Capitol Connection, the governor talks about some of those real-time challenges and planning for Hawai‘i’s future. Gov. 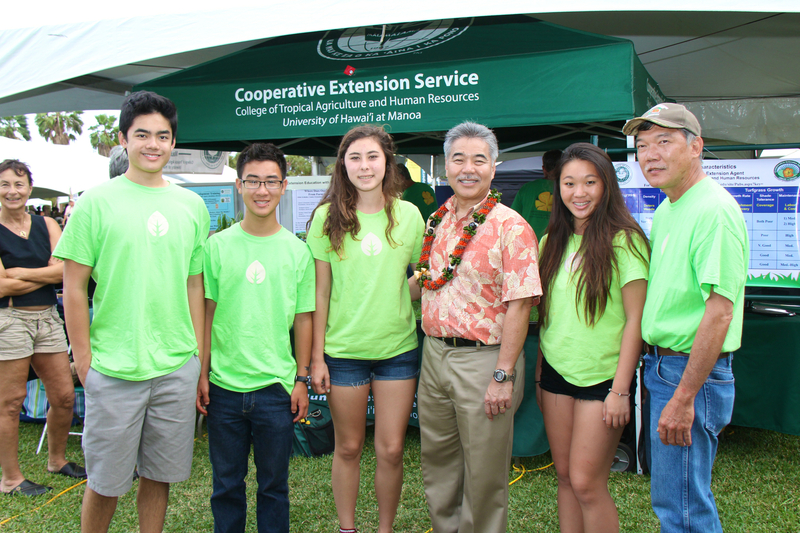 Ige on Maui for the Ag Fest with students and staff from the 4-H Dirt Devils. Q: Is planning for the future, such as food production and sustainability, just a distraction from focusing on issues now? A: Having a vision is important. Planning for the future begins with a vision that helps us set priorities today. If we know the goal is to double local food production, for example, then we need to take action now to achieve that — both short- and long-term. That means we need some baseline metrics to know where we are and how to make more agricultural land available, with access to water. We know we have to find and support a new generation of farmers because we’re transitioning from sugar and pineapple plantations to diversified agriculture. We’re on track to meet our goals in some areas, while others need more work. Also now, for the first time, we have put together a coordinated interagency biosecurity plan to protect our state from invasive species. Q: Has your perspective on state issues changed from your years in the Legislature? A: As governor, it’s about creating a common vision of the Hawai‘i we want to leave for our children. I’m optimistic because I see great opportunity for our state. I am pragmatic because, as an engineer, I work to find solutions — a win-win that allows our community to move forward. It’s about setting policies and encouraging actions that can add value to our community. Q: What would you say to folks who worry about progress on current problems? A: We’re taking action on pressing issues, whether it’s Hepatitis A or homelessness or cooling our schools, but there’s always more to be done. We’re also laying the foundation for long-term improvement in education, housing and sustainability. Our ESSA team (Every Student Succeeds Act) has held community meetings with large turnouts across the state. For homelessness, the emergency proclamations gave us flexibility to help more people and launch the Kaka‘ako Family Assessment Center. We have a clearer understanding of how we can measure effectiveness and keep making progress with service providers. Q: Do you think the workers in the various state departments share that sense of optimism about the future? A: Our employees are the most valuable assets we have in state government. They are committed public servants working hard every day to make a difference. They know the changes needed to make government more efficient and effective. We need to provide modern tools and find ways to support them so government can be more responsive to its citizens.